Hello and Welcome to The Paper Crane. All of the pieces on this site are hand folded from beautiful Japanese Washi papers, using a technique called origami. 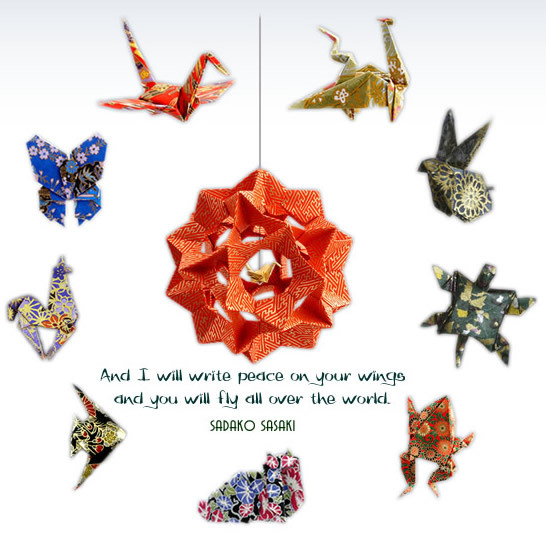 Origami is the ancient Japanese art of folding paper, “ori” meaning to fold and “kami” meaning paper. I buy this paper in large sheets directly from Japan, and then cut them into specific sizes (some as small as 1 1/2 inches square). By following specific patterns, I then fold this paper into all the mobiles, ornaments and jewelry that you will see when you enter the site. Thanks for spending some time here and I hope you enjoy!